The Saint Anne Satsuma Orange is a juicy, sweet citrus that is high in quality. The Saint Anne produces few seeds. The Saint Anne Satsuma can be eaten before fully colored on the outside. 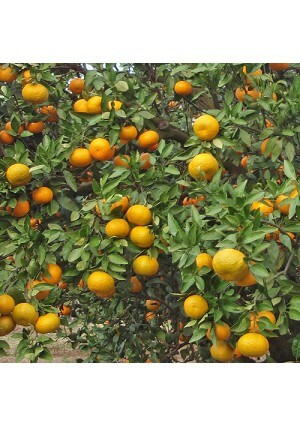 The juice from the Saint Anne Satsuma Tree is one of America's most popular juice drinks. Saint Anne Satsumas can be grown outdoors in USDA zones 9 - 11, or as a container-grown tree in other regions of the U.S if brought indoors for the winter.